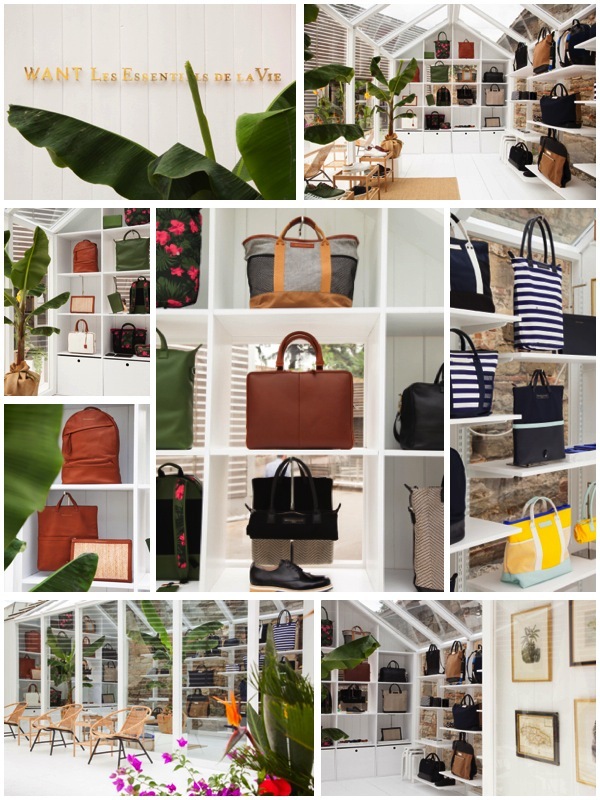 Inspired by the breezy island sophistication, WANT Les Essentiels de la Vie presents their ss 2015 Jamaica House collection. Old World caribbean leisure and Jamaican heritage relaxed classics were the inspiration for this season’s range of bags and accessories. Being of Jamaican heritage, traveling to the Caribbean getaway left Co-founders Byron and Dexter Peart with a deeply impacted sense of nostalgia and a resurgence of inspiration to them for the design of their latest collection. The tropical environment provides inspiration in the natural colors and textures found in the laid-back and relaxing island life. The SS15 collection continues the partnership with Liberty Art Fabrics and remains true to the brand’s iconic silhouette. This season features a playful Tropical Garden print with waves of sea hues, lush green palm trees and textured rasta weave prints. The combination of these results in the seductive hues and textures featured in the simplistic and athletic design inspired by Wayne Tippets, a renowned Jamaican jockey. In the Jamaican national style, colors in the collect include bright yellows, blues and reds dancing across neutrals with canvas and leather accessories. The Jamaica collection which introduced footwear was just shown in Florence at Pitti Uomo’s 86th edition. JAMAICA HOUSE by Want Les Essentiels written by Nadia Hartvigsen.